The attorneys of Miller & Steiert offer the skill and experience of a large law firm and the personal attention of a small one. We have represented the legal needs of hundreds of clients, some who have been with us since our founding in 1959. Miller & Steiert has been a litigation-based practice since its founding in 1959 by Marty Miller. Today, the next generation, represented by Mike and Katy Miller and the other shareholders, attorneys, and staff, maintain a tradition of responsibility to the individual client that sets the firm apart. We offer a full range of legal services to our clients, from criminal defense to employment advice, and from commercial law guidance to estate planning. No matter what your legal needs are, contact Miller & Steiert to let us put our 50 years of experience to work for you. Areas of Practice Our lawyers handle lawsuits and matters in the Denver Metro area and throughout Colorado including: Civil and Commercial litigation, Criminal defense, Commercial law and business law, Employment law, Estate planning, Family law including divorce, Personal injury, accidents and wrongful death, Probate administration and litigation, Real estate Transactional Work We believe that the time you spend on contract review and estate planning in the present will save you, your business, or your family from the cost and stress of going to court. We draft and negotiate sound employment and severance agreements, real estate contracts, estate planning documents and business contracts. We will also review your documents to make sure that they are current and legally sound. Contact Miller & Steiert for an initial consultation. Littleton Alternative Dispute Resolution, Inc (LADR) Our associated firm of Littleton Alternative Dispute Resolution has provided alternative dispute resolutions for more than 10 years. For assistance resolving employment disputes for private and public employers and employees in all types of employment-related matters, personal injury claims, commercial and corporate disputes, and family law disputes, visit the LADR website. Benjamin Currier was sworn into the practice of law in 2004 and is a shareholder with the law firm of Miller & Steiert, P.C. He has a general litigation practice in the areas of criminal defense, family law, and general civil litigation matters. He has represented clients in felony and misdemeanor criminal trials, family law matters, and a wide range of commercial disputes - including breach of contract, breach of fiduciary duty, fraud, replevin, eviction, and real property issues. Ben was also most recently appointed to sit as an associate judge for the City of Littleton in May of 2013. Ben received his Bachelor of Arts from the University of Colorado in 2000 and his Juris Doctorate from the University of Denver Sturm College of Law in 2004. 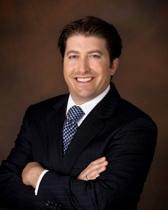 He is currently president-elect for the Arapahoe County Bar Association and will be President in the 2014-2015 year. Ben recently served as the Chair of the Colorado Bar Association's Young Lawyer Division and had sat on the Executive Council from 2008 until 2012. Ben is also a member of the newly formed Military and Veterans Affairs Section of the Colorado Bar Association and is currently in charge of the Sections pro bono and clinical programing. Finally, Ben is a graduate of the 2010 COBALT class and currently serves on COBALT Executive Committee. In 2013 Ben was honored with the Colorado Bar Association's Gary McPherson Outstanding Young Lawyer of the Year Award. Previously in 2007 Ben was honored with the Young Lawyer of the Year Award from the Arapahoe County Bar Association. Ben is a Colorado native and enjoys the outdoors by fishing, camping and skiing as often as possible. He lives in Denver with his wife, Suzanne, their young son Samuel, and their mellow yellow lab, Finley.